The imagery can feel a bit overdone at times, but working on the models completely blows away all such thoughts - it's just so much fun! Here's a heavy I'm tinkering with. 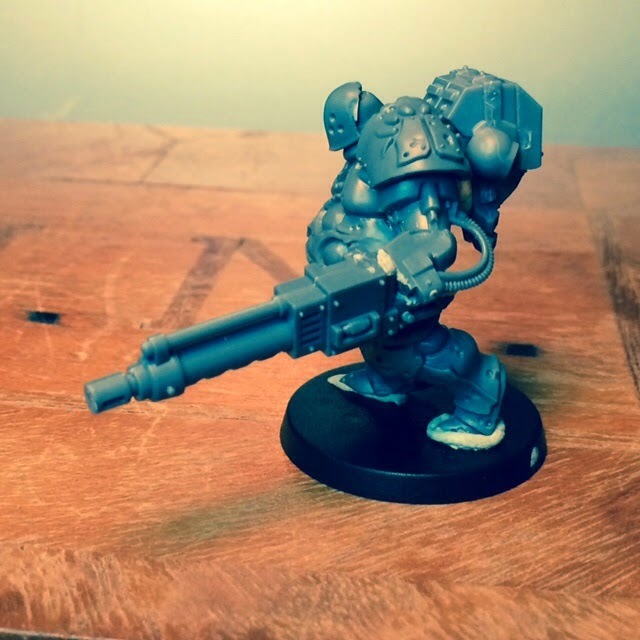 Might change the gun to a heavy bolter as the size feels slightly over the top - even by 40k standards. 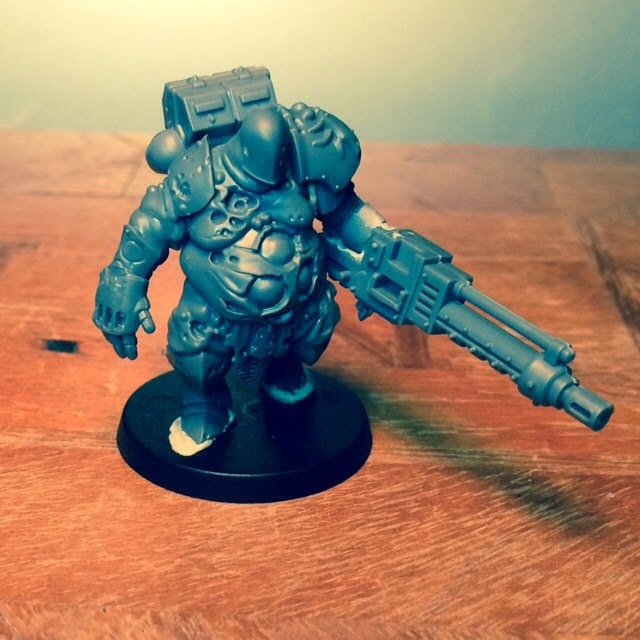 The question now is wether to keep him nurgly or to turn him into a big servitor/mutie/random fat bloke. I share your feelings about Nurgle imagery (especially the most recent offerings), so I really dig your more subtle approach to theme. Less is more, as they say. You are getting some serious outstanding results there! Really inspiring!